For some people in Japan, Sony is already dead. The only question they have is how did Sony die, or who killed it, and how long will the spectre of Sony remain haunting Japan. It's a pessimistic view of the company but it's one reality in this island country. Mr. and Mrs. Nakayama have run a home appliance and electrical goods shops for more than 50 years in central Tokyo. The shop is small and slightly dingy-not dirty or unclean, but there is something faded about it, like an old newspaper that had been kept on a family bookshelf. There are Sony emblazoned product stands, in capital letters saying Sony, and placards in the store—but they are now for hanging up cords or other products that don't include the Sony brand. "We do not have Sony products in our shop anymore," say the owner apologetically. "Many electronics shops in town do not sell Sony nowadays because Sony itself has pretty much stopped placing products in tiny retail shops like ours." A few years ago, Sony shops (stores specializing in their products), and small electronic dealers carrying most of the Sony line could be found in most shopping areas near major train stations. There are not many of them left now. Sony used to be the synonymous with Japan. During the late 1980s and early 90s, when it seemed like the land of the rising sun would eclipse the world, it also seemed like Sony would become the one brand to rule them all. But in 2012, the image of Sony has faded, just as the image of Japan has. Sony is shadow of itself in the land of the setting sun. Hundreds of articles and several books have been written on why Sony fell into decline. Some of them should probably be retitled like a murder mystery: "Who killed Sony?" The answer is not clear. Was it suicide? Was there an executive who pushed Sony in front of an oncoming trunk? Or is Sony dying from a number of self-inflicted injuries? Was Sony assassinated from the outside? Was there a criminal mastermind behind the fall of the company? Is there a "single-bullet theory" that works? Is there a "single-bullet theory" that works? Many people claim to know the answer but it seems like the people who really have the answers are the local mom-and-pop stores who used to sell Sony products and the people who once worked there or worked with Sony at its peak. Sony is not doing well. According to The New York Times: "In the company's financial year that ended in March 2012, it projected a record net loss of Y455 billion—the equivalent of $5.7 billion. It was Sony's worst loss ever, as an additional tax expense hurt a company already battered by heavy losses in its television business, a strong yen and natural disasters in Japan and overseas." Some would say that Sony is already a living zombie and that the firm won't survive. In contrast to the Nakayama store, which is almost a Sony graveyard, at the Sony Building, located in Ginza—once the most expensive and luxurious area in Tokyo—the Sony Show Rooms are immaculate and have almost five floors of space. The irony is that almost every floor is empty on a Friday afternoon. What is meant to be the Sony Show Room turns out to be The Sony Ghost Town. Pretty hostesses in crisp and no-nonsense uniforms with serious looks and no smiles on their faces welcome the few visitors. Most of them are foreign tourists. Andrew, a 27 year-old man, from Australia came to visit the well-known Sony Show Room, because the place is an absolute must for foreign fans of Japanese electronics. "I used to buy Sony stuff, but lately I also bought a Samsung TV, because it was so cheap!" "I used to buy Sony stuff, but lately I also bought a Samsung TV, because it was so cheap! I don't think it is sustainable though. I prefer Sony because it is ‘reliable' for sure." Andrew is still a serious believer in the brand. Neil (20), from the USA was also taking a walk inside the fancy Sony Show Rooms with his parents that afternoon. "Oh I came here because I love video games, I'm a total video game geek. I think the Sony PlayStations are really reliable. Microsoft and the Xbox break down a lot compared to the PlayStation 3. Sony is a well known brand, and you get what you pay for!" Mr. Nakayama, admits when foreigners think of Japanese electronics, they automatically have the image of Sony or Panasonic. Sony remains synonymous with quality in the eyes of many non-Japanese. At the polished and fancy Sony Show Room, the Japanese agree as well. A 52 year-old businessmen who had a free afternoon that day, fit a visit to the showroom into his schedule. "Well, I think Sony is not even competing anymore. When it comes to televisions, everybody buys Korean TVs—they're cheaper, bigger, and the difference in quality is not much. However, for the cameras, videos, or digital media, Sony still has many technology products. Today, I came here because I needed to buy a computer." "Sony is quality. Japanese people love Sony." Yasushi (51) and his wife Yasuko (50), were also among the very few Japanese visitors of the Sony Show Room, in the television corner. "I think Sony is still on the top," commented Mr. Yasushi, before sliding away to look at some new thin television models. However, when you walk out of Ginza, and out of the Sony Showroom, and walk past the mega-electronic retailers like Bic Camera and began focusing on local small retailers, you find a surprising amount of anti-Sony sentiment. This isn't good. Sony promotes itself as an international brand, but almost 30 percent of its sales (for all products) are said to come from Japan. By alienating the small retailers Sony may have cost itself customers loyalty and sales. Only Sony really knows. The stores we spoke with say almost the same thing, "We stopped dealing in Sony products a decade ago." "Of course, in mass retailing shops, such as Bic Camera or Yodobashi Camera, they sell them, otherwise you have to buy them online. But in the big shops, they won't explain you well how the products work and so on. If you ask them for a bit of explanation, they won't know anything or tell you anything." Mr. Nakayama said. "There are many Japanese products that sell well, but in my shop, Sharp, is doing the best so far. In my shop, I do not sell Korean products, and the reason for this is because I am embarrassed afterwards, when there is a problem. I mean for maintenance, repair or arrangements, Japanese products are easier to take care of, and they need less care too. It is true that Korean products are becoming good as well, but for me I prefer dealing with Japanese products. But well, when we say they are Japanese, in the end of the day, many are made overseas! But you know, they are still made by Japanese companies, with Japanese technology." He says this very proudly. "Yes, I remember the time, when I was younger, when we talked about Japanese products, it was all about Sony. If Sony made the product, it was a hit." The dusty small retailer shop still hangs electric cords and products on Sony exhibition furniture. "Ah no, this was before, when I used to sell Sony products, I just kept the furniture, but I hang other stuff on them." Mr. Nakayama's shop is small. It has two Sharp refrigerators, about seven different Toshiba hair dryers, four "family size" Sharp TVs, many electronic devices bric-a-brac and few air fans outside to attract the consumers dealing with the early summer heat. "Nowadays, Sony doesn't sell very well." Mrs. Nakayama, in her late fifties, lived in Chiba before she married and moved to Tokyo. Her husband's parents owned a small piece of land in Tokyo, that's why back then, they thought about opening an electronics shop, because it was a good business. "Ten or fifteen years ago, Sony products used to sell very well. Nowadays, Sony doesn't sell very well. Sony decided to sell at the market value, and then they started selling on the internet directly. Sony caters to big retailers and has been disconnected from the small retailers. No one take them anymore in small shop," she explained. "The Walkman was the best hit I remember. We sold many of them when it came out." Over the years selling and dealing different Japanese electronic products, Mrs. Nakayama developed a sharp understanding of the economic situation. She is not an expert in finance, but she gave an explanation of her own: "What happened is that Taiwan or Korea hired the retired Japanese engineers and field technicians for a very good deal, so they learned the Japanese technology very quickly. And in those countries, the manpower costs are very cheap. And with the Japanese high yen, all these things contributed to the fall of Japanese companies. I heard this from discussing with the local retailers. I heard these countries hired retired technicians. And you know, the most expensive part of the business is the employees; it is the labor force. But when it comes to technology they are also very important." Nobuyuki Idei CEO: The Supervillan That Killed Mighty Sony? It turns out that Mrs. Nakayama is very astute. Former Sony executives and current employees blame the fall of the firm on the loss of brainpower and good employees during the reign of Nobuyuki Idei, from 1999 to 2005. Idei was the first Sony CEO to rise up entirely from a management background and in the "Who-killed Sony?" genre of books and articles, he is regularly the prime suspect. A middle manager at Sony, on background, recalls the Idei age. "Idei decided to streamline the company and do massive restructuring. When we say, 'restructure' in Japanese-we really mean get rid of people. He put together an early retirement plan and strongly encouraged people to use it. Well, that didn't generate a lot of good feelings. When a company starts promoting early retirement, most people take that as a sign to get out while they still can. And many did. Maybe the idea was that by getting rid of the middle aged and older employees they'd encourage innovation and bring in some young blood. The effect was more like shooting yourself in the foot." According to the Sony veteran, the middle-aged engineers and technicians that left were the same ones that brought Sony to greatness. They left behind a younger generation that was insecure, afraid of failure, and only willing to work with technology already in place—not build from the ground up. "What was even worse is that during this period, Korea and Taiwan immediately welcome the exiting Sony techies with open arms. It was better than industrial espionage—Samsung could openly 'buy' the technology that Sony had developed simply by rehiring their best and brightest." The representative of a major European investor in Sony recalls his meeting with Idei very unfavorably. "I came to Japan to talk to Mr. Idei about our growing concerns with Sony's direction. We had dinner together. I wanted to talk about profit margins; he wanted to talk about the wine we were having. He struck me as a clueless." When the investor pointed out that Sony's operating profits on electronic products were roughly 2-4 percent and that Samsung was making similar products at a 30 percent profit margin, Idei hushed him by reportedly saying, "They make the parts for our products. We put them together. It's the difference between a steel maker and an automobile maker. We make the automobiles." The investor apparently countered, "Well, I've got news for you-the people you laid off from the car plant are now working at the steel mill, and soon the steel mills will be building cars with your technology." The warning was not heeded. It was 2004 when they last met, and while the iPod was increasingly becoming the to-go platform for mobile music and multi-media contents, Sony or rather Idei, didn't take it seriously. When Sony announced that it would be appointing Howard Stringer to be the new CEO in 2005, the investor sent Stringer a message and offer of support via Sony's Japan office. Stringer was in charge of the company for several months before the investor heard from Stringer himself that the message had not gone through. The investor drastically reduced their interests in Sony. "We still have shares in the company so I don't want to say much more but it was clear to me by 2004 that Sony was a company at war with itself and that the seeds of its downfall had already been planted by Idei and nurtured by his cronies, and that they were quickly taking root." A Japanese salesman in a big retailer shop outside Tokyo, (38) said that twenty years ago, he remember Sony TVs "had such a good quality, the images were so beautiful. But nowadays the quality has gone down, that's for sure." But in the past, they were expensive too. However, he explained that nowadays, no one would pay that much to get a new TV. His large shop sells Japanese electronic products only. "Three years ago the prices were higher. You found TVs at 400,000 yen. It is true that the price went down because of the cheaper Korean products," he adds. It is true that the price went down because of the cheaper Korean products." "Honestly, when you look at the quality of the screen, the Japanese makers are more subtle than Korean products. The Japanese makers have the same power as the Korean products, but I guess it is a question of price. LG or Samsung are cheap, that's their sales point I guess. But the after-care is a problem. Sony products last longer. Samsung products break easier I heard from my clients. I can assure you that the Sony TVs will last at least 10 years," he adds. "As for the computers, I noticed that people who have used Sony from the beginning continue to buy Sony. But nowadays Toshiba computers sell very well. It depends, people also like the design of the computer, and internally they are very good, but they are more expensive of course, that's why Toshiba sell better." Nowadays, if you want to find a Japanese television that is entirely made in Japan, you can find the Kageyama-models, from Sharp. In terms of price, they are a bit more expensive, but they are entirely 'Made in Japan.' Even Panasonic have their factories abroad. If the pieces were produced abroad but the final product was assembled in Japan, you could say they are 'Made in Japan.' The costs are so big, that the companies usually produce them abroad and import them to Japan. However, there is a hard-core audience for strictly made in Japan products who will pay an expensive premium but it's an audience that Sony seems to have lost. Yozo Hasegawa, the author of Rediscoverning Japanese Business Leadership, told us that the problem with the Japanese success stories after WWII is that the Japanese industry has been lead by two sectors, the automobile industry and the electronics industry; however after 1989, which was the peak of the Japanese economy, according to the indicator of WEF and Nikkei ranking, in 1999 and 2000, "the global economy had developed, and the Japanese domestic market has faced a dramatic change of economic phenomena, after the collapse of the bubble economy." "One common point in the analysis of the fifteen Japanese business leaders whom I investigated in my book is their leadership. These fifteen companies have a strong leader, with a strong mind." The second thing these managers have in common, he added, is that "they kept the 'DNA', or the root of their management from the beginning. These companies succeeded because they managed to keep their 'DNA' along the way, as 'Japanese companies.'" "...the Japanese should not copy the American or Anglo-Saxon business models..."
Mr. Fujio Mitarai, the leader of Canon, for example, said many times that, "the Japanese should not copy the American or Anglo-Saxon business models and...Japanese companies should have their own way." However, in some ways, many managers say that the Japanese should learn from the American industries. For example, Mr. Mitarai said that he learnt about the cash-flow business management from the Americans when he stayed in the USA. "He learnt to use the cash flow in a more efficient way. But he also stressed on the Japanese management style. He also stressed the importance of the inheritance of the 'DNA', which Canon handed during 60 years after their establishment," Hasegawa explained. The Japanese electronic business, which lead the Japanese business world after the war, was leading the world's electronic industry offering a very advanced technology. "However recently, the electronic consumers' goods are becoming commodity products, and not only Japan but also Japan and Korea's businesses are catching up on technology. And the only difference with the Japanese products is the price, because a cost competitiveness rose and Japan is known for being a very costly nation." The good points for Japanese businesses are also that they make the products "more precisely and at a very high quality," Mr. Hasegawa explained, "but the new market is requiring not only the quality but also a lower price." In other words, the Japanese companies are losing the price competitiveness. The other point is that they sometimes have been "arrogant" about their technology, and for example, sometimes they believe they can keep the leadership in the liquid crystal technology or the semi conductors sector. "Before, the Japanese consumers loved the Japanese products, but recently, the Japanese market became an open market and also the Japanese citizens' tendency is changing." "While the global market is increasingly growing, even Korea or China can produce such high quality products, before the Japanese companies succeeded to make high quality or advanced technology. But recently the speed of innovation is moving quite fast, so they are losing their leadership in that field," Hasegawa explains. The technological leaps are so fast and furious that spending huge amounts of money on research and development may no longer make sense. While Japanese consumers still have a loyalty to Made in Japan products, it's not what it once was. "Before, the Japanese consumers loved the Japanese products, but recently, the Japanese market became an open market and also the Japanese citizens' tendency is changing. The Japanese used to love only the Sony or Toyota products, but now they can compare the products, so sometimes they can select and chose imported foreign products." According to Mr. Hasegawa, Japanese products are high quality and also very elaborately produced, but recently the life style is changing and the Japanese consumers tendency is also changing, from high quality oriented to reasonably priced products. So the anti-foreign products tendency is fading in Japan. "Of course, the Japanese love the Japanese products, but now they can choose." Also, the Japanese makers are leading the distribution system, and they are also focusing on PR, however, they had the chance to import the foreign products, especially after the market opened. For example, according to a survey Nikkei group, when Japanese were asked which company they had the most favorable image of, the answer was Apple. It was not Sony or Panasonic. A few years ago NTT Docomo cell-phones and other Japanese smart phones dominated the Japanese cell-phone market but then Softbank introduced the iPhone to Japan in the summer of 2008. Response was weak at first but gradually the iPhone has become the most esteemed cell-phone for Japan's younger and older generations. Mr. Kazuo Hirai, the new president of Sony Corporation is someone who knows how to win the hearts of American consumers—due to his long background working in the US. He said he wants to concentrate the business on 'new businesses', meaning 'non-electronic' businesses in the service sector, mobile phone, movies, gaming or music. He wants to rationalize the electronic divisions and unify the company under his "One Sony" plan. "Of course, the Japanese love the Japanese products, but now they can choose." "Mr. Hirai's background is non electronic, but of course he knows Sony is an electronic oriented company, one of the key point is how to rationalize the electronics division and the other point is how to make synergy effects in soft and service sectors. In some sectors, Sony should have a better alliance." Mr. Hasegawa says. Some experts say that unlike Korean electronic companies, Japanese companies excel in developing original new products. Innovation takes time and is very costly, but in the golden age, Sony engineers were free to do what they wanted, they concentrated on technology that was unrealistic or hard-to-commercialize. Sony was fit to develop new technologies. Sony's corporate culture was "free and open-minded" and independent business units worked well under the charismatic Mr. Akio Morita. Morita would only interfere with matters when there were conflicts among company units. However, under Mr. Idei, the loose structure of Sony became very vertical. Engineers became less esteemed or saw going into management as more desirable than remaining in the technological arena. Sony became stratified. Howard Stringer declared that he would destroy the silo, when became president. He found that one of the things that was blocking Sony was the vertical division style, tatewari—that the different arms and regional firms of Sony were not cooperating each other. He said that was a "Japanese tradition." To cope with the problems he identified, he said he would change the vertical division style to a more friendly cooperative system. "But after all, he could not stop the red figures of the electronics. He tried to fix things but he didn't live up to expectations," Mr. Hasegawa said. Is Sony what it used to be? Urban legends say not so. An owner of an electronic shop in Machida may understand Sony's problems better than any financial experts, because he has been selling Toshiba, Hitachi, Sharp, National, Panasonic and Sony products in Japan for over 40 years. He said that the quality of Sony has definitely fallen over the years. "Samsung surpassed Sony, especially in the field of television." Sony has allegedly done its own internal studies of failure rates for its products and found that their products last longer than much of the competition. However amongst some Japanese consumers, there exists the urban legend of "the Sony Timer." What is the Sony Timer? It's the rumor that built into every Sony product is a self-destruct program that will go off after a certain amount of time has passed, usually around the end of the warranty, forcing the Sony loyalist to buy the newest product. It doesn't matter whether it's true or false. Many people believe it's true. There exists the urban legend of "the Sony Timer." What is true that in order to lower the costs, Japanese companies including Sony produce their products overseas, such as in Thailand or China. That's why their products are not "Made in Japan" anymore. It's hard to teach foreigners how to assemble the pieces. That's allegedly why Sony products have higher failure rates. In the past, the motto for Japanese companies was to have their products last "a minimum of ten years." The safety of the brand was that it could live at least 10 years. Before, the Japanese people used to trust the "Made in Japan" concept. "Nowadays we find mistakes in the stage of assemblage. I heard that the finalization process of the products and the confirmation processes have always been very strict in Japan, than in other countries," the owner says. "Sony is still leading the stereo and the audio field, but the TVs are really below expectations. Sony TV in the 1970s and 80s were really good products and they were selling very well. The problem now is that Sony does not invest in engineers," he added. "Nowadays, also, it is hard to produce technological products in countries, where the weather is too hot." It's become popular wisdom that the Japanese consumer is unwilling to pay more for a built-in-Japan quality product. Sharp's moderate success with the Japanese consumer seems to indicate otherwise. Sharp has its factories in Kameyama, in the Mie Prefecture. Sharp is particularly insistent for producing on Japanese soil. Sharps' "Kameyama model" TVs are twice more expensive than other TVs, but they sell well to people who really care about quality in products. Sony's management system is incomplete, they should try either one way or the other, produce in Japan or overseas with Japanese engineers, or nothing. Sharp opened Japanese oriented TV factories in 2004 in Kageyama, Mie Prefecture. It came at a time when the Japanese electronic companies were starting to locate their factories overseas; to lower their assembly costs. Sharp also started similar factories in Yaita City, in Tochigi Prefecture, and also some in Osaka, as of 2009. This was the first time ever in Japan. TVs produced in Kageyama were called the "Kageyama model TVs" and had a huge popularity among the Japanese consumers. According to Sharp, "Japanese retailers and consumers were impressed with the good qualities of these really made in Japan televisions. The price of TVs decreased a lot in Japan, and as a brand, the Kageyama models are indeed expensive, but I cannot say whether it is more expensive than other brands compared to their qualities. Our Kageyama models became famous and popular among the users, because they were domestically produced. People said that because it was made in Japan, they had a sense of security and this was essential for them when buying expensive electronic goods." The limited success of the Kageyama model indicates that Japanese consumers will still pay for quality, but that they demand that "Made In Japan" really means "Made in Japan". Mr. Yasunori Tateishi has written so many books on Sony, including such titles as Sony: The Inside Story, that sometimes he is jokingly referred to as "Mr. Sony" by other journalists. On November 11th, 2011, his "eulogy" for the firm was published under the title Sayonara, Our Sony. It is not yet available in English but the book convincingly describes how Idei and Stringer by focusing on "net business" and "management streamlining" effectively crippled Sony as a technology giant. On April 23rd, after the management of Sony changed, Mr. Tateishi gave a speech at the Foreign Correspondent's Club of Japan and succinctly described what went wrong with the firm. Mr. Howard Stringer resigned on April 1st 2012 and when Mr. Hirai became president and CEO of Sony Corporation and on April 5th, he announced the management policy. Mr. Stringer's revival plan was not appreciated by the board because it was not so much different from the previous plan. It's no longer clear what Sony really is all about. Mr. Tateishi states, "I believe there is a problem, not only for Mr. Hirai, but for the whole company dating back to the time of Mr. Idei." Mr. Tateishi sees part of Sony's problem in its diversity. It's no longer clear what Sony really is all about. For Japan, Sony is a consumer electronic company, but in America, according to Mr. Stringer, Sony, represented by the face of Spider Man, is seen as an entertainment company, and for others, it can be seen as a game company-the people that make the Playstation. "Sony has too many different faces," he said, "for me, the biggest problem is that it has so many faces, it has become increasingly unclear what kind of company Sony is." Sony is an operational business unit. However it owns holding companies like Sony Corporation of America, meaning that Sony has to function as a holding company as well. Sony Corporation of America owns Sony Pictures, Sony Music, and Sony Electronics. Even though Sony has Sony China, Sony Europe, they are just regional sales companies. Sony's management mire came from the fact that they had to learn to manage Columbia Films and CBS records when they acquired them. Sony, as a business operational company, did not have anyone familiar with the entertainment business, when they acquired Columbia films and CBS Record." Therefore they had to leave all the decisions of the entertainment business to somebody outside the firm. Former CEO's Mr. Morita and Mr. Norio Oga had spent a lot of money to acquire Columbia Films, because they hoped to make the hardware and software businesses work together. However, the management of Sony Pictures (formerly Columbia Pictures) failed. "It is well known that the Sony money was used as the private money of the management of Sony Pictures back then, and is detailed in Hit and Run: How John Peters and Peter Guber took Sony for a Ride in Hollywood. The book is written by two veteran reporters, Nancy Griffin and Kim Masters about how two American film packagers tried to play the studio executives, at the expenses of Sony. The story tells how difficult it is to manage business in Hollywood." When Mr. Idei became the president, back in 1995, he also had many challenges, and some of them were the problem at Sony Pictures and the problems at Sony Corporation America. One issue was to show where the headquarters really was located, and who was the boss of the whole thing. Sony Pictures was the greatest challenge. Because Sony hoped to integrate the software and hardware business to utilize them in the electronics business, they needed to revive Sony Pictures, therefore what Mr. Idei wanted to do is to make Sony Pictures as good as Sony Tokyo. Sony Corporation of America was supposed to manage things but ultimately until Mr. Idei positioned Howard Stringer at Sony Pictures, the company was run from Japan. Howard Stringer was put in place under the rational that no Japanese man could understand the Hollywood business model, and when Sony wanted to utilize the entertainment business into its electronics business, they had to leave the entertainment business to non-Japanese managers. At that time, there were multiple factions within Sony and there were discussions about "how should Sony look like in the future." Tateishi believes there was a chance to restructure Sony for success but it was missed. "If Sony continued with the current structure, which was no longer effective, the only solution was to establish Sony Holdings under which SCA would look after the entertainment business and Sony Tokyo would manage the electronics business, and Sony Computer Entertainment would take care of the game business. 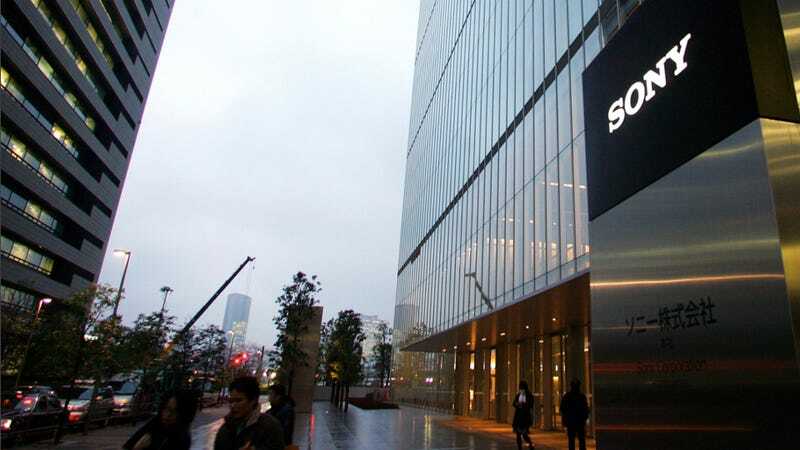 Sony Holdings would manage the subsidiary only through numerical targets, and it would not intervene into the management of the subsidiaries, such as the budget or employment. This idea shifted into a portfolio management style." "I believe that the past CEOs should have selected these options from these two ideas, but rather than making decisions, they just left the problem unattended. Sometimes, the electronics business of Sony is doing very good, sometimes the entertainment business does very good, but we never saw a time when the two businesses are doing well together." If Mr. Hirai is serious about the revival of Sony, he will need to decide which option to take, and he will need to support these structural issues, insists "Mr. Sony". "If Mr. Hirai decides to maintain the group, then he needs to shift into a portfolio style management. Or if he wants to survive as an electronics company, then all the non core businesses should be unloaded, and the firm should focus on the high quality products only, in such a way as it could compete with companies such as Apple." What Mr. Tateishi recommends and what Mr. Hirai envisions as the right path for Sony may not necessarily be the same thing. Mr. Hirai is certainly serious about reviving Sony but he may seriously need to study Sony's past history of failure to go forward and achieve some success. "Sony has a great love for proprietary technology that isn't shared in common with other electronic makers." Mr. X, a former Sony executive, who now consults for the company, thinks he knows what has been the root of Sony's failures. "Sony has a great love for proprietary technology that isn't shared in common with other electronic makers. Because it seeks to impose it's standard as the industry standard, it often forces itself out of the market. They succeeded with Blu-Ray but digital downloading makes that a hollow victory. Who wants to buy a Blu-Ray when you can download a digital HD copy of your favorite movie from i-Tunes as soon as you want to see it?" The graveyard of Sony products is impressive. Beta-max was killed by the VHS. The Memory Stick was killed by USB memory. The Walkman was killed by the iPod. The common MP3 format killed Sony's DRM heavy ATRAC format. Even when Sony has had product killers on its hands, they have often failed to mobilize them effectively overseas or in Japan. In the kingdom of obsolete Sony products one in particular has a special place in the heart of the Japanese consumer. Tomoaki Kamimura, 30, is an accountant in central Tokyo. He grew up in Chiba, outside Tokyo. He says he is from the "Walkman and Nintendo Gameboy generation" and recalls the time when, as a teenager, he discovered the Sony Walkman, "for the first time, we could transport music outside and we could walk while listening to it. I remember I was very excited to buy CD albums when I was about fifteen, and in my class we would share the CDs and copy them on cassette tapes. It was the good old days. Also I remember the Game Boy, everyone in my class had one. Again, it was a toy we could take out in our nap sacks, it was great." "When the MDs came out, I remember I was proud to show my friend from Switzerland how small my discs were. We were very young, and she said she never saw such small discs. However, in Japan, we did not find many music albums in Mini-Discs. So it was quite trendy for a while, but then we forgot about it. Now, I have a collection of useless MDs at my parents' cellar in Chiba," he reminisces almost sadly, and then adds, "I store all my music in my iPhone now." This story originally appeared on Japan Subculture Research Center. Jake Adelstein is the author of Tokyo Vice and a board member of the Polaris Project. Nathalie-Kyoko Stucky is Tokyo-based journalist whose work has appeared on AFP, among other publications.